In collaboration with Comune di Tavagnacco, Fondazione Bon e Pro Loco. In collaboration with Comune di San Vito al Tagliamento e Anmil Pordenone. Free entry to all events up until places are exhausted. 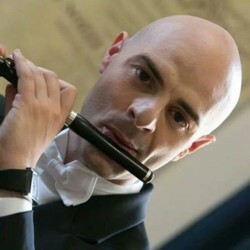 Since 2008 he has been the Principle Flautist of the Banda Musicale della Polizia di Stato. 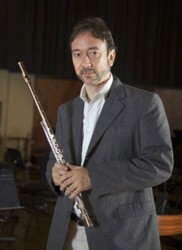 He has been the Flute Soloist for Ensemble Algoritmo, specialised in contemporary music, and has been the winner of numerous international awards. He is a Briccialdi Flutes artist. Winner of awards and recognitions, he carries out intense activity as a soloist and teacher. 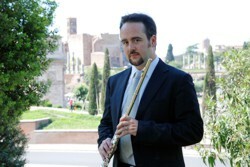 He collaborates with Conservatorio Santa Cecilia in Rome in the teaching of the Piccolo flute and Elements of Flute Repair and Maintenance. 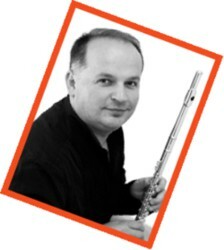 He is principle flute and Piccolo Soloist at the Fanfara dei Carabinieri di Roma. Monica Finco teaches at the Benedetto Marcello Conservatory of Music in Venice. As an international artist, she performs concerts and masterclasses. She records for Da vinci Classics. She is a Flauti Briccialdi Italia artist and LefreQue sound-bridge italian artist and friend. 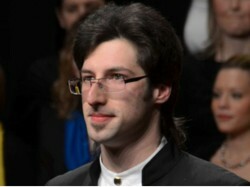 He began his professional career in Buenos Aires; he is currently principle soloist of the Bilbao symphony orchestra. He carries out intense chamber and concert activities, also as an interpreter of the flute, and holds master classes in Europe and America. He is one of the founders of the Caballeros del Traverso. 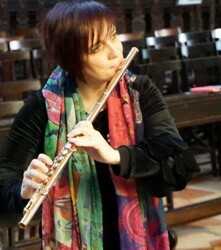 Lecturer at the Conservatorio Superiore delle Canarie, she carries out intense chamber and concert activities, as well as Masterclasses and Specialisation Courses on the technique of circular breathing for the flute. She is the artistic director of the FlauTeam Festival of Gran Canaria. 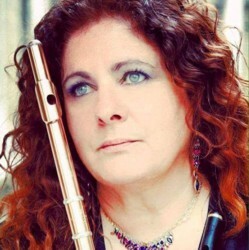 Venetian flutist, great-grandnephew of Maestro Giuseppe Verdi, she carries out chamber concert activities as well as being a great teacher, especially in the field of flutist ensembles. She is President of the “G. 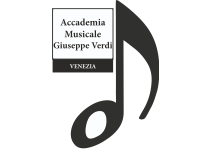 Verdi” Academy of Venice. 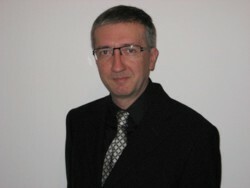 Professor at the Academy of Music of the University of Ljubljana (Slovenia), he was the principle flautist of the Slovenian National Radio Symphony Orchestra and winner of numerous awards and national competitions. He has an intense chamber and concert schedule as a soloist in Slovenia, Europe, USA and Asia. 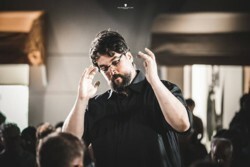 Pianist, composer and conductor, amongst the most acclaimed of his generation, Valter Sivilotti has worked in writing and arranging for the most famous artists in the world of songwriting. His shows and music appear on the billboards of the major orchestras and theatres around the world, including Teatro Verdi in Trieste, Teatro Massimo in Palermo, Teatro La Fenice in Venice, Teatro Comunale in Bologna, Zagreb Philharmonic, Toscanini in Parma, Göttinghem Symphony, the Polish Baltic Philharmonic. Russian Philharmonic. He wrote the original music for the theatre show La variante di Luneburg with Milva, W. Mramor and P. Maurensig, the Musical Civile Magazzino 18 with S. Cristicchi and A. Calenda, and the project Carmina Balcanica commissioned by the Mittelfest and debuted in Cividale on the opening night of the 2015 Festival. 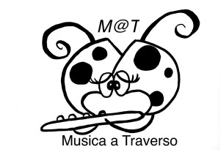 The Trieste Flute Ensemble is an orchestra of flutes only. 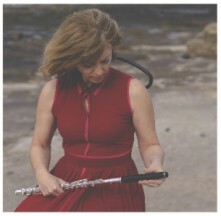 It has been active since 2005, and it is one of the first professional Flute Ensembles in Europe. The association was founded in 2009 with the aim of making the flute better known by organising concerts, musical events, courses, exchanges and cultural initiatives. Our Founding Partner and Artistic Director is Maestro Giorgio Blasco, a well-known flautist and musician from Trieste, as well as a teacher, book author and composer. come to play with us! To promote the knowledge, study and repertory of the flute, we will compete for the Guinness World Record of the largest flute ensemble ever to have played! Registration for the event is free.. The parts of the 2000 flute orchestra, which are simple, are already available; to obtain them and to decide the divisions, sign up for the event. All participants will receive a diploma of participation and gadgets. You can sign up individually or register your group, your school or your class. For more information or registration, write us an e-mail by filling out the form. Data collected are used in accordance with Italian Legislative Decree no. 196/03 and EU General Data Protection Regulation (GDPR). For further information or specific requests please contact Trieste Flute Association at the following e-mail address: triesteflute@pec.it.